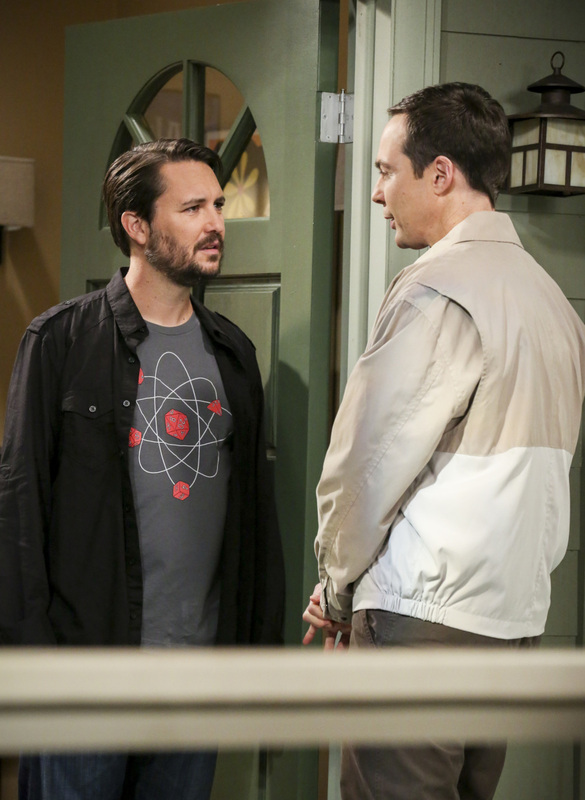 "The Proton Regeneration" -- Pictured: Wil Wheaton (Himself) and Sheldon Cooper (Jim Parsons). Sheldon goes head-to-head with Wil Wheaton for the role of the new Professor Proton. Also, Penny steps in to take care of Halley when Bernadette and Wolowitz both wind up on bed rest, when THE BIG BANG THEORY moves to its regular time period, Thursday, Nov. 2 (8:00-8:31 PM, ET/PT), on the CBS Television Network. Photo: Michael Yarish/CBS ÃÂ©2017 CBS Broadcasting, Inc. All Rights Reserved.